You are here: Home / Content / Do you tell, teach, or train? What’s the difference between telling, teaching, and training? And which should you be doing? This is true, but if you don’t know the difference, you may be teaching when you want to be training. Or maybe you’re teaching when you should be just telling. So let’s dive in and get some clarity! What is telling–and when should I do it? 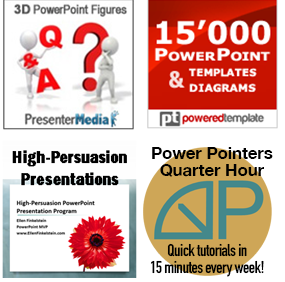 As I mentioned above, examples of presentations that involve telling are sales presentations and project updates. There might be some element of teaching in them — for example, you might want to teach a prospective customer about the need for a social media automation system before you go on to tell them why they should buy yours. This is sometimes called information or education marketing. But if you teach TOO much, you lose sales. Sometimes, people get enough information to figure out a way to do the job on their own. Other times, you overwhelm them. For these and other reasons, selling is mostly telling. The same is true of a project update to your team or boss. There’s not much reason to teach — you can just tell the audience your results. You can tell people that flying a kite is fun, but they really need more than that. 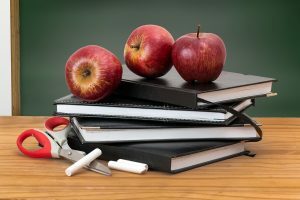 What is teaching–and when should I do it? This verification of learning is crucial. For example, you can teach students about the physics of flying a kite, but you can’t be sure if they know it until you test them. What is training–and when should I do it? Of course, if you’re a trainer, whether in-house, coming into an organization from outside, or recruiting individuals to take your course, you want to train. The difference is that you want your students to implement what they have learned. It’s not always the case that the same person does all facets of training. 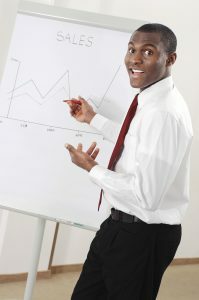 For example, one person might teach the principles and another person might coach the student on the job. Nevertheless, training doesn’t happen unless the person can practice and implement the training. 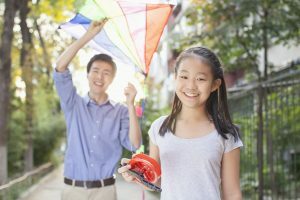 So, tell your friends how much fun it is to buy a kite and maybe where to get a good one. Teach them some of the important principles, such as how to create a good tail. 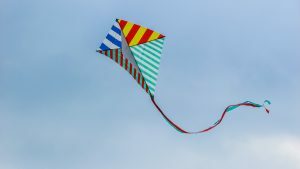 …but they won’t really be able to fly a kite until you take them out on a field with a kite and practice with them. If you would like to work with me on your next presentation to make sure it has the impact you want, you can find more information about my 1-on-1 presentation consulting and coaching here. What’s your view about telling vs teaching vs training? Leave a comment and please share this post with your colleagues. It should spark a valuable conversation! We tell : Information, feelings, opinions. WE Teach: Knowledge and methods to learn knowledge. An easy example to also consider the difference is drivers ed and drivers training. One is “about” driving, and one is practice of “how to”. Really neat article. Needs to be kept in mind for sure by those engaging in these areas. In medical radiography and medical laboratory science, the fields in which I have worked, too many times the trainer is a former tech who may have even been the top tech in their work area. Sadly, they seem to frequently stop at the telling stage as though if they “told us” they “trained us”. While they do some feedback, it is nowhere near enough as Ebbinghaus curve of forgetting is very steep and new information needs reinforcing a lot at first. At any rate, this article is definitely something to keep in mind. I most certainly know the difference! I’m a training specialist who has to deal with personnel and lawyers who think they know training because they’ve been to school, which, of course, means they know training because they have an education, and education is (obviously) the same as training. They even believe that people will acquire a skill by looking at PowerPoint and then, transfer that “skill” to the workplace! Thanks, Ellen for informing me of the difference. I am usually involved in teaching and training environments and this information will help me to do a better job especially in designing the best method of the end result. Very good explanation. Will help definitely in designing better training programmes.